Including when they’re multitasking, 8- to 18-year-olds consume an average of 7 hours and 11 minutes of screen media per day. 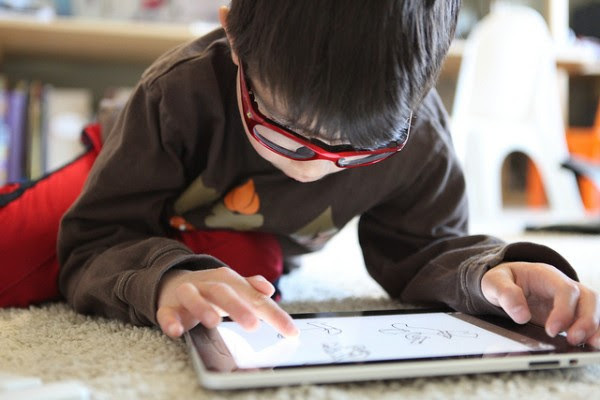 Screen time is linked to sleep disturbance in 6- to 12-year-olds. The American Academy of Pediatrics provides guidelines about the amount of screen time for children. It "discourages media use, except for video-chatting, by children younger than 18 to 24 months," recommends that children ages 18 to 24 months only see "high quality" media that is not watched alone, and asks parents to "limit screen time to one hour per day" for children ages 2 to 5. One children get older, they say, parents "need to decide how much media to let your child use each day and what types of media are appropriate." We are the role models for tech use in our children's lives. It helps to take a close look at our own screen use and notice if we are advocating less for the kids but not curbing it ourselves. One way to start to change habits is to take a no-tech challenge. This might look like a weekend day without screens, a weeknight screen-free evening, or even attempting to take an entire weekend off from screens. Starting small and working up to longer screen-free time is likely the best bet, since most of us use them reflexively. Since it's summer, I thought it might be a good time to try this out. The days are longer, the weather is generally better, and there are multiple options for screen-free entertainment. Or, if could be a good time to learn the value of being bored and/or daydreaming! Making dinner time a no-screen zone. Going back to alarm clocks in bedrooms to make them a screen-free place to relax and sleep. Setting unplugging goals as a family. Doing the no-tech challenge together as a family and being supportive of one another (it's not always easy!). Good luck and let me know if you try some screen-free time in the next week!